Prague might be one of Europe’s most touristy destinations, hosting more stag dos and package vacations than any other city, but there is space in the city for a relaxed weekend break. 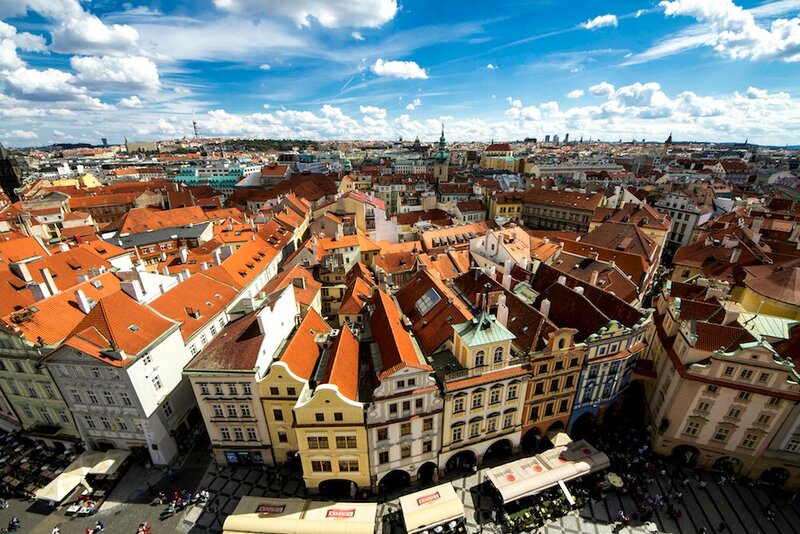 Follow our guide and embark on an unbeaten (or at least a less beaten) path around Prague. Prague is best explored on foot, so make sure to fuel up in advance. If you require caffeine before you can start your day, head to Mamacoffee on Londýnská Street — apart from coffee brewed a variety of ways, they serve cascara, red iced tea brewed from coffee berries with a subtle cherry taste, a refreshing choice for hot days. Then head for a walk in the surrounding bohemian Vinohrady district, hidden from the crowds behind the main Praha Hlavní Nádraží train station. Take a stroll down the green shady streets (notice how they are all named after countries and cities around Náměstí Míru, or Peace Square) to Prague’s famous TV tower, Žižkovská televizní věž. 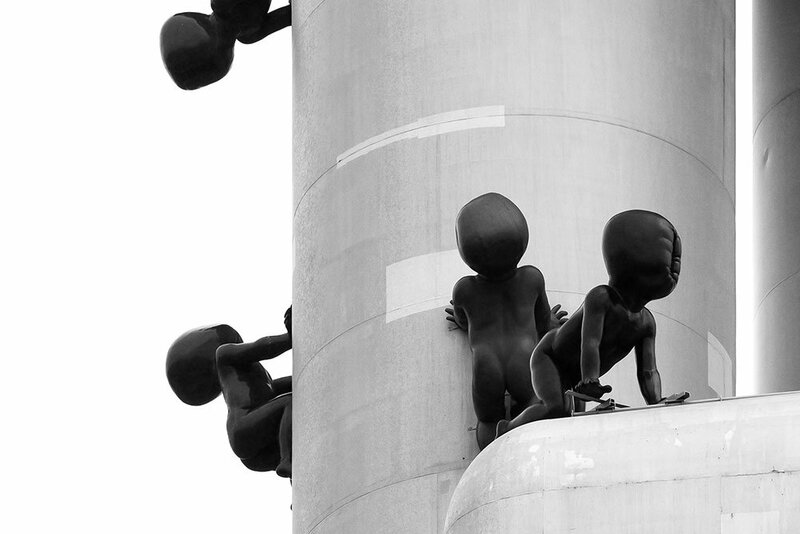 The controversial tower looks like a spaceship and often ends up on lists of world’s ugliest buildings, but it is still a sight to see, especially now that it is covered by “babies”, 10 sculptures of giant crawling infants by Czech artist David Černý, whose work you will encounter all over Prague. There’s a restaurant called Oblaca located 66 metres up in the tower, so if you fancy breakfast, dinner or a cocktail with a view of the entire city beneath you’d better book in advance. From the tower, head down Milešovská Street to the nearby Jiřího z Poděbrad Square, which you will immediately recognise by the eye-catching Roman Catholic Church of the Most Sacred Heart of Our Lord (Kostel Nejsvětějšího Srdce Páně in Czech). 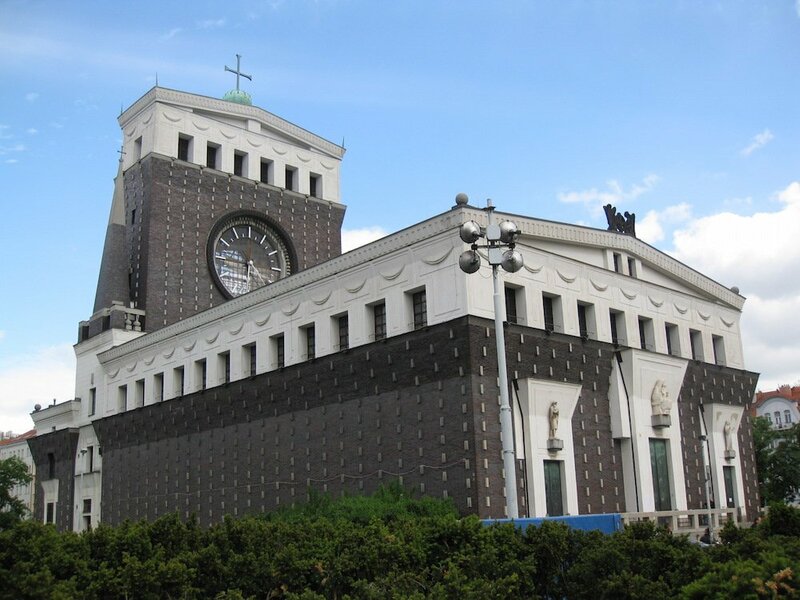 Designed by the Slovene architect Jože Plečnik, it has been compared to both a chair and a bed because of the tall tower at the back of the building, decorated with a large glass clock. It’s only open to the public before services, but if you manage to get inside, you might get to see its three-metre gilded statue of Christ. 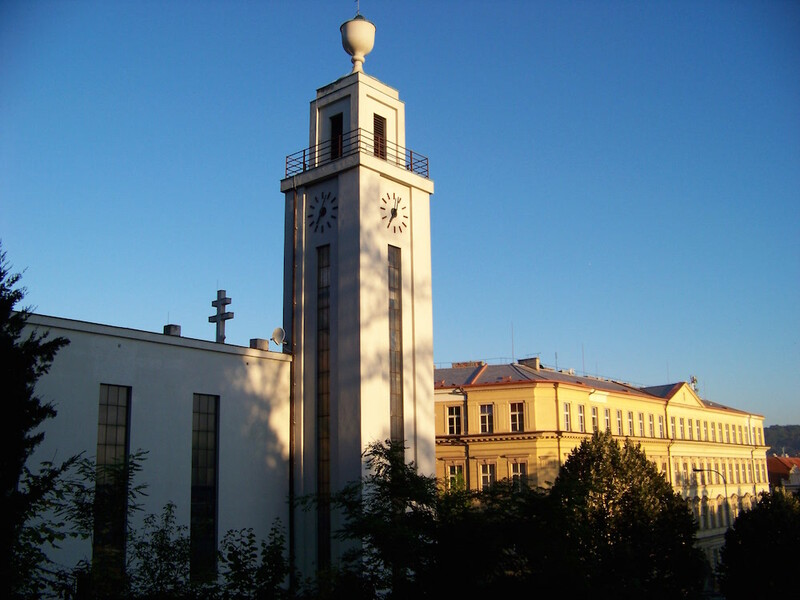 Another remarkable sight in the area is the Hus Congregational House, a famous Constructivist Hussite church on Dykova Street, built by one of the greatest Czech modernist architects, Pavel Janák. 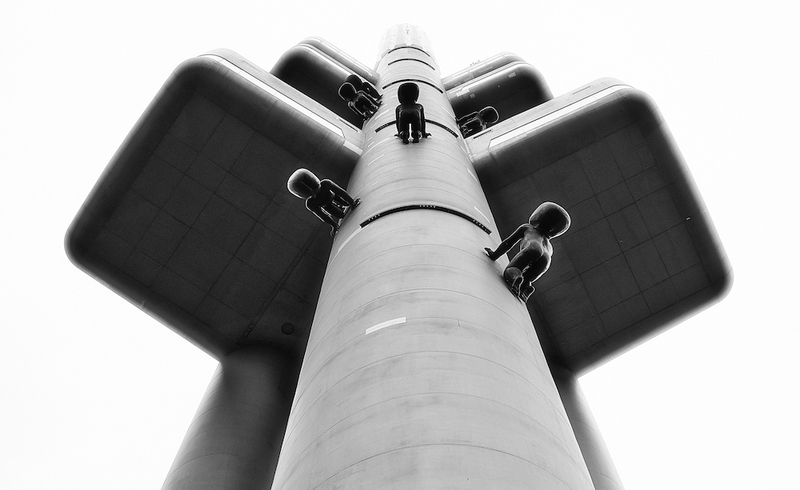 In 1945 the tower was used by the Czech resistance to transmit an alternative radio over the town during the Prague Uprising. Now it stands out among the residential neo-Renaissance and Art Nouveau district, while fitting in perfectly alongside the Most Sacred Heart as part of Prague’s Cubist and Rondo-Cubist legacy. For lunch, head to Momoichi Coffetearia, a quirky Japanese bistro filled with My Neighbour Totoro souvenirs, serving unusual brews of both tea and coffee, Japanese and Middle Eastern food and matcha desserts. If you’re not tired of walking at this point, the best plan for at least a few hours would be an aimless wander around the area and its several parks. Havlíčkovy sady garden covers an area large enough to get lost in, but head to the grotto in the northern part of the park for some Instagram opportunities. Riegrovy sadi, a park situated on a hill between the main station and the TV tower, has a bar and beer garden popular with locals. There are also two historical cemeteries — an old Jewish one in the park surrounding the TV tower, and the 17th-century Olšany Cemetery (Olšanské hrbitovy). The most famous grave, however, is not as old: Jan Palach, the Czech student who committed suicide by self-immolation in Prague’s main Wenceslas Square as a protest against the communist regime when the Soviet Union invaded Czechoslovakia to put an end to the liberal reforms of the Prague Spring. 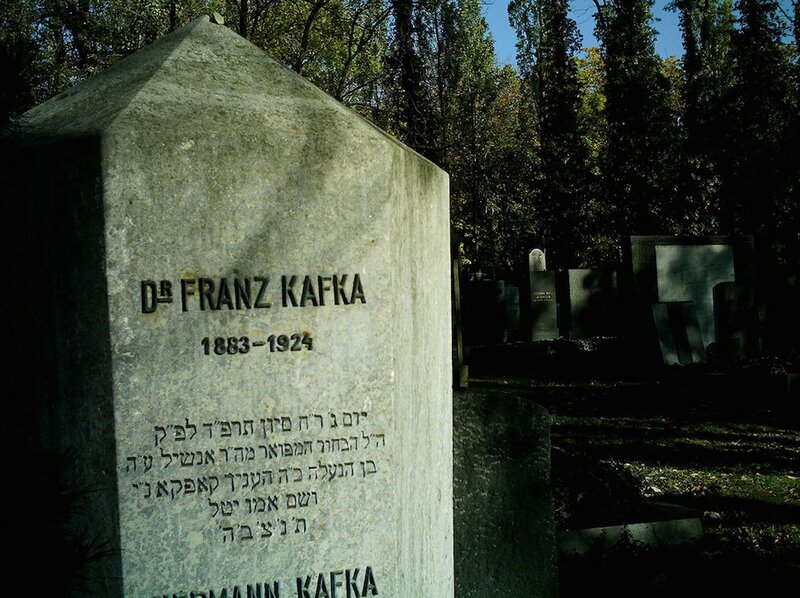 Across the road lies the New Jewish Cemetery (not to be confused with the old one in the city centre), where Prague’s own Franz Kafka is buried. The name of the area, Vinohrady, comes from the Czech word for vineyard, so you’re almost obliged to end the day with a glass of wine. Don’t be intimidated by the overwhelming beer culture (even though Czech beer really is good), and head to Vinárna Vínečko back on Londýnská Street, just steps away from Mamacoffee. Czech white and green wines are especially popular for their crispness and are great for warmer weather, and you can also use this opportunity to try some excellent Czech cheeses. If the weather’s not good enough for walking, don’t despair — there’s still a lot to see in Prague, and you might still get your daily steps in. If you’re into design, make sure to make a stop at the Czech Cubism Museum that occupies two floors at the House of The Black Madonna in the Old Town. Don’t let the location scare you off: the museum is a bit under the radar and you won’t have to make your way through the crowds there. Be sure to pick up a map of the famous Cubist buildings in Prague, as several of them are within walking distance of the Museum. 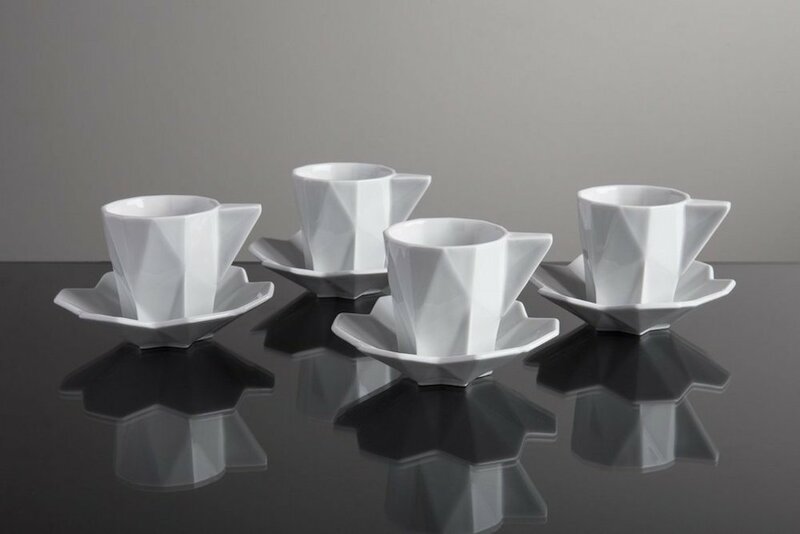 Downstairs is the Kubista shop selling affordable replicas and original cubist designs if you’d like some souvenirs. If you’re in the mood for fine art, head to Veletržní palác, the biggest site of the Czech Republic’s National Gallery, which houses their collection of modern and contemporary art, as well as Alphonse Mucha’s The Slav Epic, a collection of 20 giant canvases that the artist gifted to the city. You can easily spend two days here, so start with the Epic (you’ll need to buy a separate ticket to see it and make sure to leave all large bags in the cloak room), and then work your way up through the floors. The gallery also has a big collection of Czech Cubist paintings, so a visit would work well after the more designed-centric Cubism Museum. Cafe Jedna on the ground floor of the gallery serves food that is surprisingly good for a museum cafe, and is popular with local freelancers. 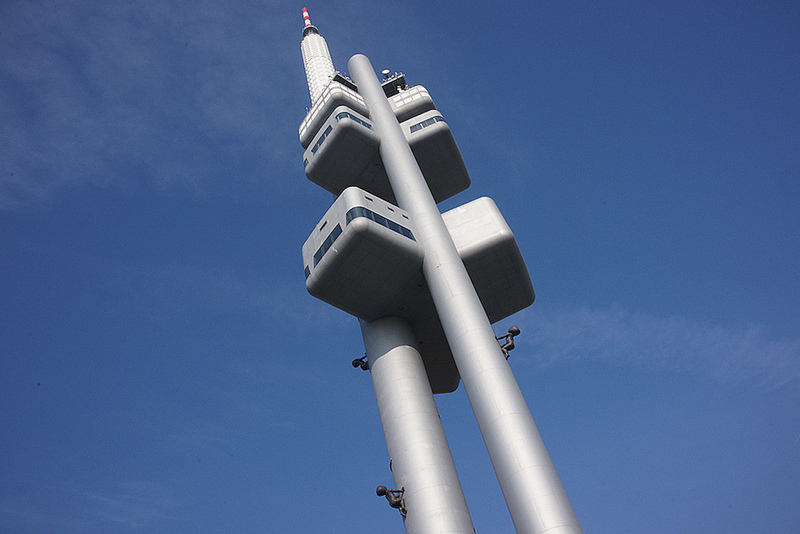 If you require better souvenirs than a selection of fridge magnets and “FBI: Female Body Inspector” t-shirts, check out Botas 66 store just across the road from the TV tower — they sell Czech-made sneakers inspired by a classic Czechoslovak sports shoe design. If you’re after some Czech SPA items or locally-made cosmetics, head to Manufaktura — the brand has shops dotted all over the city centre. They have beer- and wine-based ranges of cosmetics, which would make a great gift for someone who loves beer so much they want to use it as shower gel and rub it on their face. If you still have energy and would like a night out before you leave the city, head to Akropolis in Žižkov, a space that houses a bar, a restaurant and holds regular gigs and club nights.